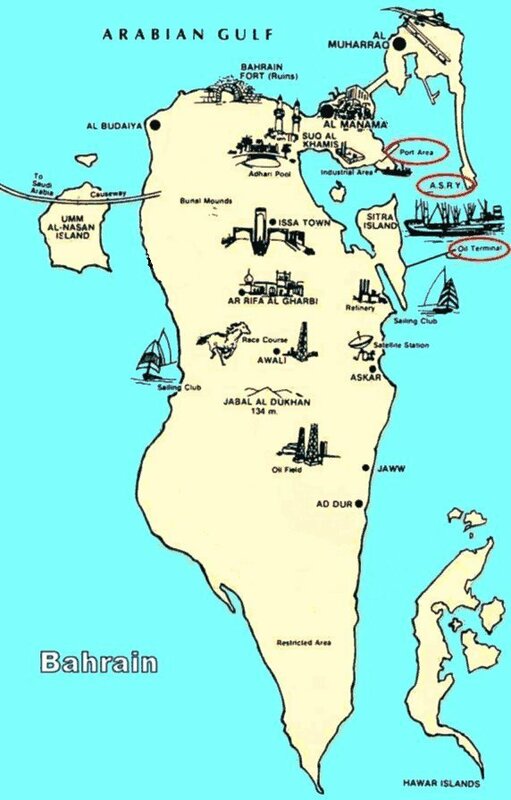 Bahrain is the hub logistics site in the NAVCENT AOR for distributing all passengers and cargo and mail originating in CONUS. It is served by AMC for cargo and CAT-B missions coming from the east coast via the Mediterranean. Full transient services are available to personnel arriving in Bahrain. As of September 2002, Operation Resinate South [the UK component of Operation Southern Watch], consisted of Tornado GR4s based at Ali Al Salem in Kuwait crewed by No. 12 Squadron and Tornado F3s of No. 43 Squadron in Saudi Arabia. Both detachments are supported by Tristar tankers of No. 216 Squadron which operate from Bahrain. A RAF Regiment Field Squadron and a Survive to Operate HQ are also deployed in the region. Bahrain International Airport's ultra-modern new terminal is one of the busiest in the Gulf. 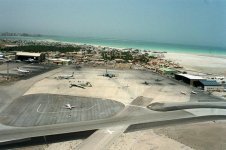 Approximately 22 carriers serve Bahrain with connections to other Middle Eastern destinations, Europe, Africa, and the Far East. There are no direct flights between Bahrain and North or South America. 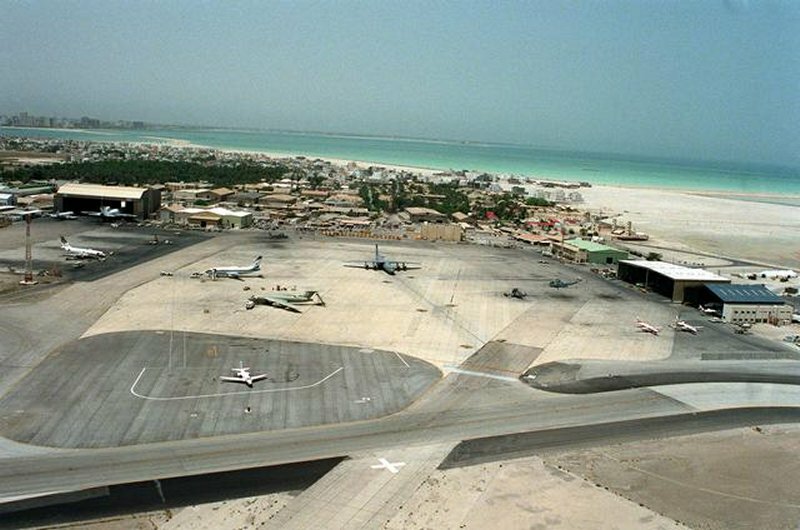 Expansion of the airport's facilities took place in the early eighties as a prelude to the major expansion and refurbishment program that was completed in March 1994. The new US$100 million terminal was innaugurated in 1994 and this expanded the handling capacity of the airport to 10 million passengers a year.